Located at 1311 South Ocean Blvd in the Crescent beach section of North Myrtle Beach, sits the Xanadu I. 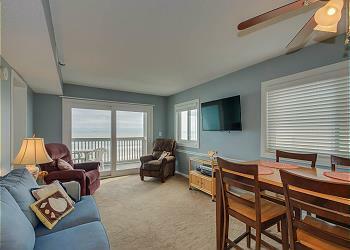 This quaint oceanfront condominium building is a great place to stay for your beach vacation without the overcrowded resort feeling. There is an oceanfront outdoor pool, elevator, on-site parking, cable TV, W/D in the unit, and a fully equipped kitchen. Just a short drive from the Main Street area, guests can shop at local boutiques, have dinner at several locally owned restaurants, grab a banana split at one of the many ice cream shops, play a few games at the arcade, or dance the night away to beach music at Fat Harold’s or Ducks. Although there is an elevator, you must go up 7 steps in order to get to the elevator.